You will be arrived at Delhi airport and transferred to the hotel. 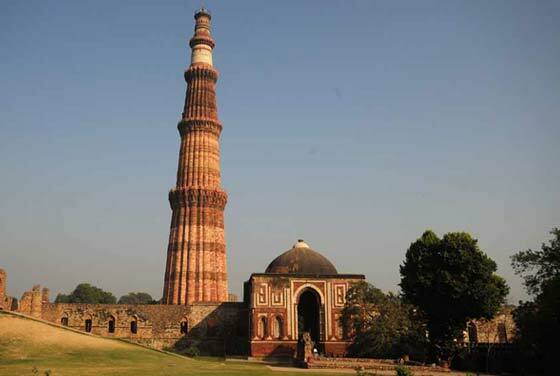 The first day you will be exploring the historical walled city of Delhi. the sightseeing tour of Delhi will include the Qutab Minar, HumayunTomb, India Gate, Mahatma Gandhi memorial, Red Fort, and Jama Masjid and laxmi Narayan Temple.Over night in your hotel. After breakfast visit the magnificent Taj Mahal (Taj Mahal remains closed on Friday) a poem in white marble - one of the seven wonders of the world which built by Shah Jahan in memory of his beloved wife Mumtaj Mahal, The Taj mahal constructed by 20,000 men labored for over 17 years, Taj Mahal symbolize the richness of art and architecture of the Mughal period. Check-out and precede to Ranthambhore enroute Fatehpur sikiri.The historical town built by Akbar where you can see the Bulund Darwaza, the largest gateway in the world; Jama Masjid and the tomb of famous Sufi saint Shaikh Salim Chisti Panch Mahal and other place. Arrive at Ranthambhore check-in at pre booked hotel. Dinner and Overnight stay at the hotel. Early morning visit to Ranthambhore National Park with naturalist. Return for breakfast and spend the rest of the morning at leisure. There is time to relax and enjoy the facilities of your hotel, maybe take a dip in the pool for a break from the heat of the day. After lunch Afternoon drive to Ranthambhore National Park naturalist, Overnight stay at the hotel. After breakfast check out and drive to Jaipur. check in into your pre booked hotel and freshen up. In the afternoon take sightseeing or visit pink city. This is the only city in the world symbolizing the nine divisions of the universe through the nine rectangular sectors subdividing it. In the evening take a walking tour of the colorful streets and bazaars of Jaipur City. The beauty of Jaipur is that its unique architecture and town planning is visible at even the most common places such as its squares and lanes. Night stay in your hotel. After breakfast take a visit full day sightseeing include Amber Fort. Here at Amber, you’ll ascend till the gates of majestic Amber fort on elephant back (This is optional on direct payment basis). The fort displays a beautiful mix of Mughal and Rajput styles of architecture. Hawa mehal (Palace of Winds). The beauty of Jaipur is that its unique architecture and town planning is visible at even the most common places such as its squares and lanes. City Palace, Jantar Mantar observatory,Overnight stay at the hotel.